Lo and behold, the JoypadAndMe team are back with their latest podcast episode. Yes its been a couple of weeks but the team have managed to get together and pull off another classic episode. Graham, Connor and Gareth chat all things games as well as many a tangent. 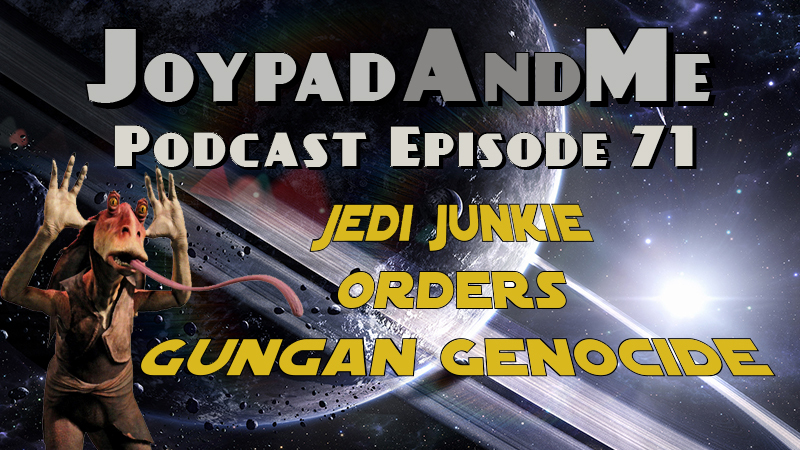 With reviews from Connor, Amibo love from Gareth and the wanton destruction of the Gungan race from Graham, this will prove to be an interesting episode to say the least. Please subscribe to the podcast on iTunes by clicking on this link HERE if you haven’t already done so or by using the feedburner link right HERE. You can also find our podcast on Stitcher Radio by searching for JoypadAndMe.